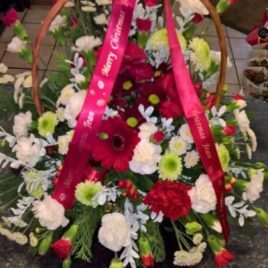 Make your Christmas door wreath all the more special by having your own personal message printed onto satin ribbon. 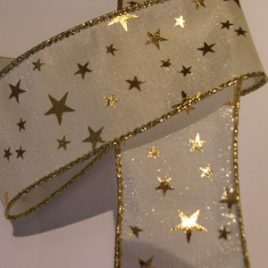 Metallic silver printing has been used and some snowflakes added. 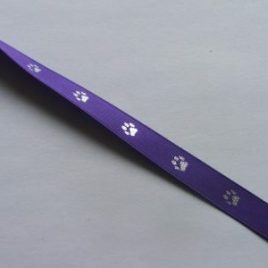 Price per metre £1.25 for 35mm ribbon. 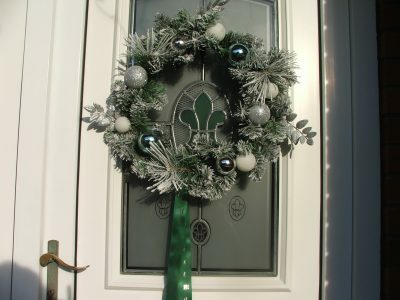 Why not personalise your Christmas door wreath? 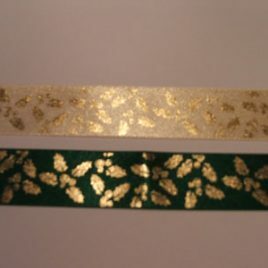 Here “Merry Christmas” has been printed in metallic silver onto green satin ribbon and snowflakes added. Red, green, purple and black satin available for printing on. Width 35mm.